Bulldogs are known for two things, being proud of being a bulldog and secondly, being angry at everything that isn’t directly related to them. That ferocity is illustrated in this exquisitely fuming bulldog’s assertive machine embroidery design which shows the dog in its most agitated state but still in an artistic way. 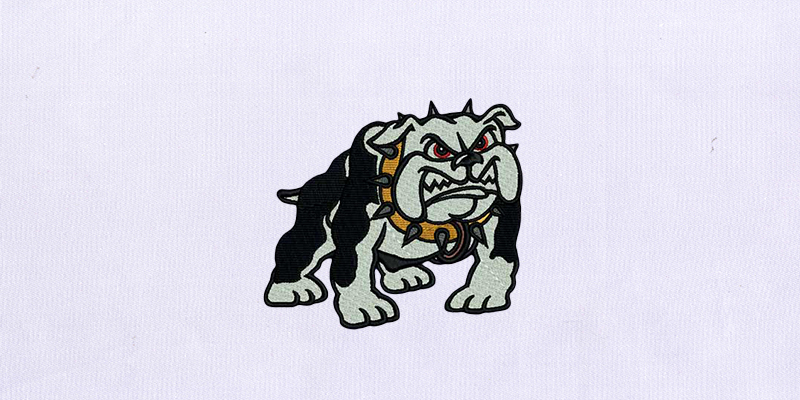 From his inverted paws, muscular body and aggressive stance, strengthened by the baring fangs and red shot eyes, this Fuming Bull Dog Embroidery Design is too engaging to ignore. So add it to your sweater, dress, skirt or tee and make a statement right away.